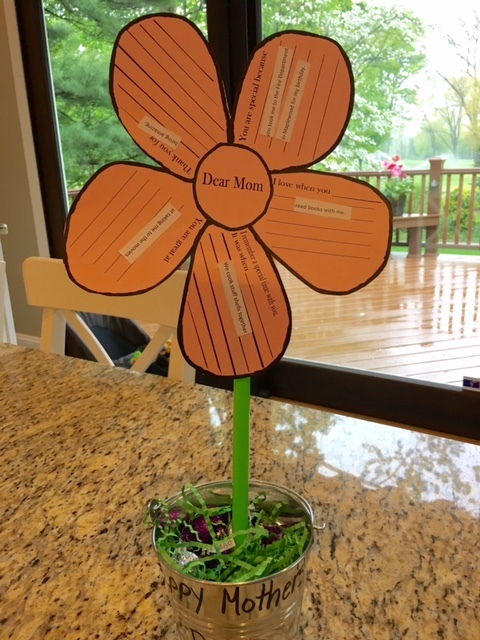 For Mother's Day this year, both kids did projects that spelled out stuff they like about me. Sabrina made a mini booklet on the topic and Max put together a cute tree at school with leaves that detailed his appreciation. • I help her feel better during hard times and also "go through your long speeches when I do something wrong so I can learn." • When she is sick, I will do "anything" to help her feel better. • Misplacing my iPhone approximately every seven minutes and yelling "Has anyone seen my phone?" • Screeching "WE HAVE TO LEAVE THE HOUSE NOW OR WE ARE GOING TO BE LATE!" Anyhoo, it was both fun and heartening to read their Mother's Day tributes. I mean, I try to be a good mom, yet you never know what your kids appreciate about you given that they don't mention it the other 364 days of the year. But the "I love you's"—well, those never stop. AWW! 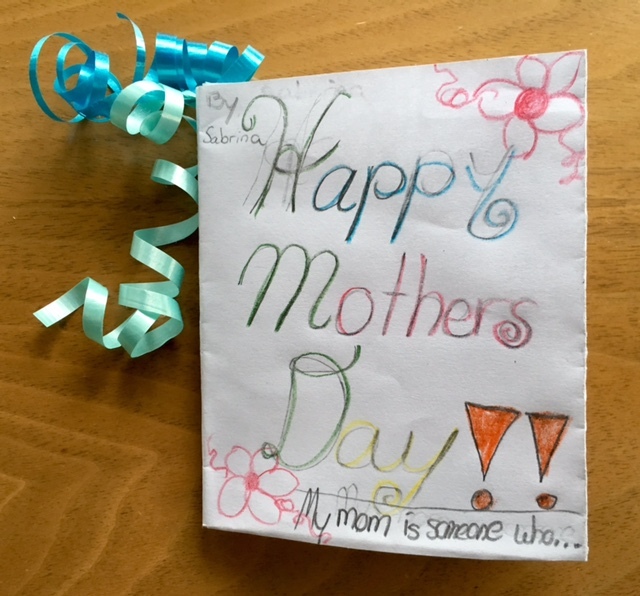 Home made Mother's Day cards and gifts are the sweetest! Oh, that's funny. I got "She make good nachos! She loves me a lot!" Being a mom must be a tough job. I will just steal the Army's motto: "It's the toughest job you'll ever love." Oh, cool! Thank you for letting me know, Kathryn! Come back and tell us about the award you're getting! Max loves Pixar and Disney movies! I like stuffed shells enough, but I prefer mac 'n cheese so that food phase was a better one for me (see: leftovers)! Um isn't that a flower not a tree? Anyway it's lovely! And so is Sarbrinas book. Oh, my poor, sleep-deprived brain. Yes, of course, I meant flower. These are great gifts! Love Max's flower that he made, and Sabrina's book is wonderful too!! Was it really the best day of his life?